So here we go again. Some of you may remember from back in the day when we just started blogging we did a lot of giveaways. That’s one of the reasons I love to team up with Life She Has and share her giveaways with you. 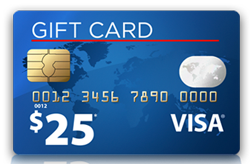 One winner will receive a $25 virtual Visa gift card, and one (1) sample bottle of Pedia-Lax® Chewable Tablets. Giveaway ends 10/8/2018 and is open to US only, 18 and older. Good Luck!